UCL Digital Education Advisory members contributed to a new Open Access e-book that provides valuable insight into the way technology can enhance assessment and feedback. 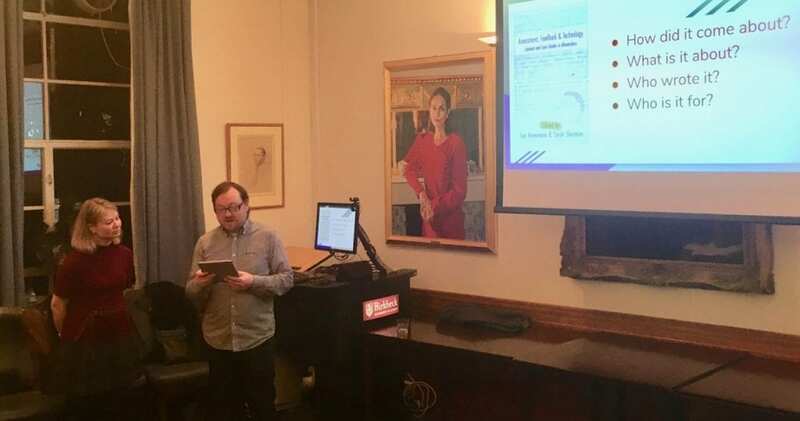 The book was launched formally on 26th October by Birkbeck College Secretary Keith Harrison, with talks from the editors Leo Havemann (Birkbeck, University of London) and Sarah Sherman (BLE Consortium), three case study authors, and event sponsor Panopto. 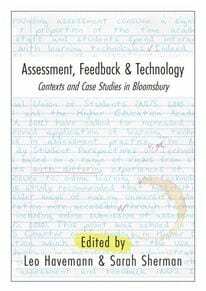 Havemann, Leo; Sherman, Sarah (2017): Assessment, Feedback and Technology: Contexts and Case Studies in Bloomsbury. London: Bloomsbury Learning Environment. The book is a result of a two-year project on e-assessment and feedback run by the Bloomsbury Learning Environment (BLE), a collaboration between five colleges, including the UCL Institute of Education, on issues around digital technology in Higher Education. It contains three research papers which capture snapshots of current practice, and 21 case studies from the BLE partner institutions and a little beyond, thus including practice from wider UCL. technology-supported assessment in distance learning. Seven of the 21 case studies were provided by UCL Digital Education colleagues Jess Gramp, Jo Stroud, Mira Vogel (2), and Tim Neumann (3), reporting on examples of blogging, group assessment, peer feedback, assessment in MOOCs, student presentations at a distance, and the UCL-developed My Feedback Report plugin for Moodle. The case studies succinctly describe assessment and feedback processes in context, so you can quickly decide whether these processes are transferable to your own situation, and you will get a basic prompt on how implement the assessment/feedback process. Some case studies don’t shy away from raising issues and difficulties, so you can judge for yourself whether these difficulties represent risks in your context, and how these risks can be managed. All case studies follow the same structure. If you are in a hurry, make sure to read at least the Take Away sections of each case study, which are full of tips and tricks, many of which apply to situations beyond the case study. Overall, this collection of papers and case studies on assessment and feedback is easily digestible and contributes to an exchange of good practice. The e-book is an Open Access publication freely available below. The Bloomsbury Learning Environment is a collaboration between Birkbeck, London School of Hygiene and Tropical Medicine (LSHTM), Royal Veterinary College (RVC), School of Oriental and African Studies (SOAS), UCL Institute of Education (IOE), and the University of London with a focus on technologies for teaching and learning, including libraries and administration. See www.ble.ac.uk for more information.